Ambati Rayudu has settled the number four debate once and for all with his consistent showing in the ongoing ODI series against the Windies. After scoring a half-century in the series opener, he backed it up with a scintillating century in Mumbai. Even the captain Virat Kohli cleared that the team management will be backing Rayudu until the World Cup to come good and has more or less given the green signal to the cricketer’s selection for the showpiece event. What did Rayudu give up? 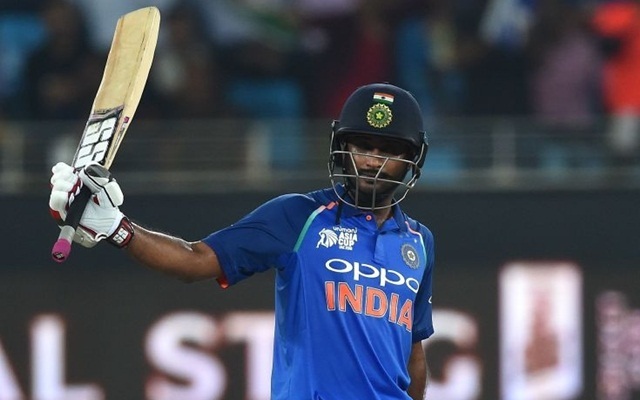 Ambati Rayudu, while speaking to the cricket experts – Mohammad Kaif and VVS Laxmanon Star Sports, recalled how he transformed his eating habits which helped him drastically in getting extremely fit which has become one of the important things to be in the Indian team these days. Hailing from Guntur, Andhra Pradesh, the 33-year-old revealed that he loves Biryani a lot and had to give it up in order to wear the blue jersey again. He also went on to add that he hasn’t tasted Biryani from last three months. It’s obvious he gave up on Biryani as he busy serving it for Dhoni unfortunately Kohli is a vegan so must be making veg Biryani for him. I believe VVS and Siva are his new pr workers always talk highly about him. I am giving up IPA and chicken nachos. They are taking notes from @velu . This is all to impress virusha !! 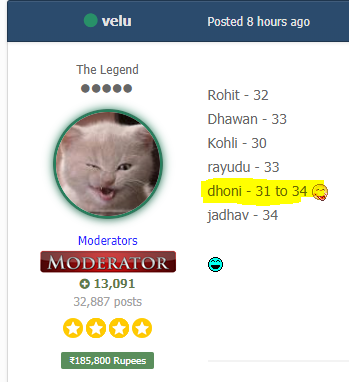 At least they are improving his image lol unlike the PR done here..
KL Rahul. Start an agenda for his inclusion in the ODI side . Oh Poor Birayni! I mean getting paid only millions for giving up Biryani, life is so unfair to him. So is he watching Sui Dhaga or Harry met Sejal 10 times? It's not the effect of leaving biryani, but just the garbage bowling he has been fed during the series. Let him go to Aus and newzeland he will realize that he is good at eating biryani only. “It was a matter of time he got into the groove, got the confidence, start delivering for the team,” he said while speaking about India’s new number four batsman in ODIs. “Rayudu [has] now got the right sort of captain who is very much there for him to give him the desired support, which actually made him play the game he (Rayudu) loves,” Harbhajan Singh further added. If [he] gets going, there is no stopping him and [he] should be a good No. 4 player who should play for India for a long, long time,” he was quoted as saying in Sportstar Live. The off-spinner also encouraged the competition among the bowlers. He noted that the management will have to find the best possible combinations. Further, he humbly said that he will pen down his autobiography soon. “Well, soon I am planning to write an autobiography detailing my journey into the cricketing world, the ups and downs I faced. [However,] I don’t think I am such a big player about whom a biopic can be made,” Harbhajan Singh concluded with a big smile. He also went on to add that he hasn’t tasted Biryani from last three months. What a hero, hain ji? Ambati gave up biryani and got a hundred in 3 months. Bhagat Singh gave up his life but couldn't even get independence in 3 years. 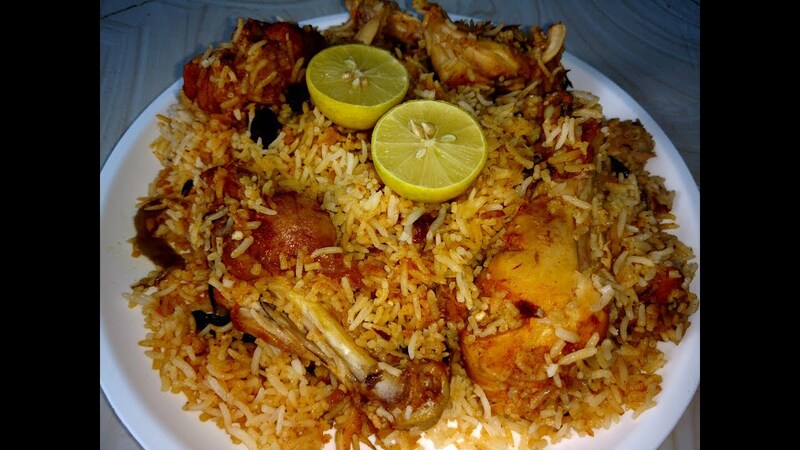 If you actively playing then there is nothing wrong with biryani. Who is the stupid dietician who is telling them not to eat biryani. The dumbest thing I have ever heard. Ravi Shastri must be emptying the team Biryani, so indeed he hasn't had any for last 3 months. Briyani chor diya ye batya but daily haleem pel rha hai ye kaun bolega. There was actually a news of kuldeep being dropped because he didnt promote sui dhaga but it turned out to be fake news. The way Captain Bollywood is going this wasn't far fetched. I saw that interview. His exact words were "bahut din ho gaya biryani khaye, Match ke kaaran nahi milta, Match na ho to daily khaun". 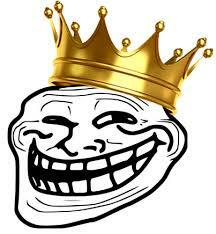 Iyer and Kishan showing their potential for T20 team. 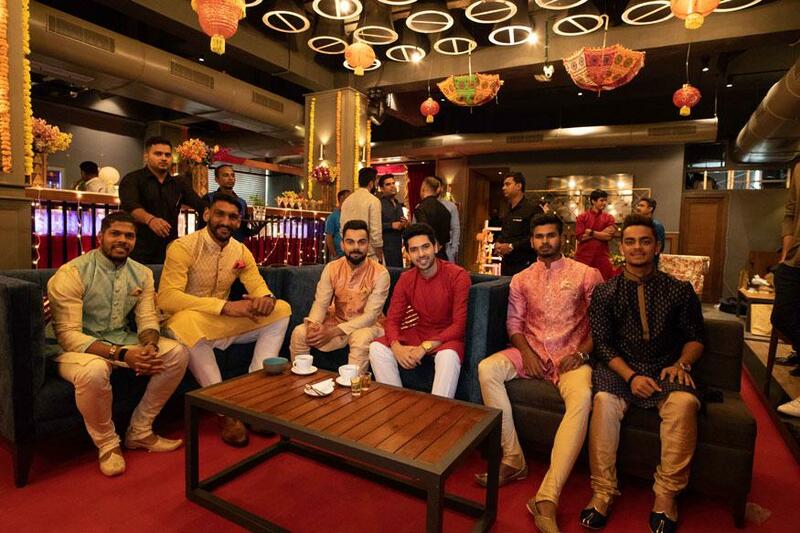 It is an event organized by Kohli's management team Cornerstone. Kishan, Iyer, Kalra etc are part of that team. Biryani mixed with meat cooked separately is blasphemy. Do they have neem leaves and aloe Vera juice? Some saturated fat does not hurt but excessive is bad. 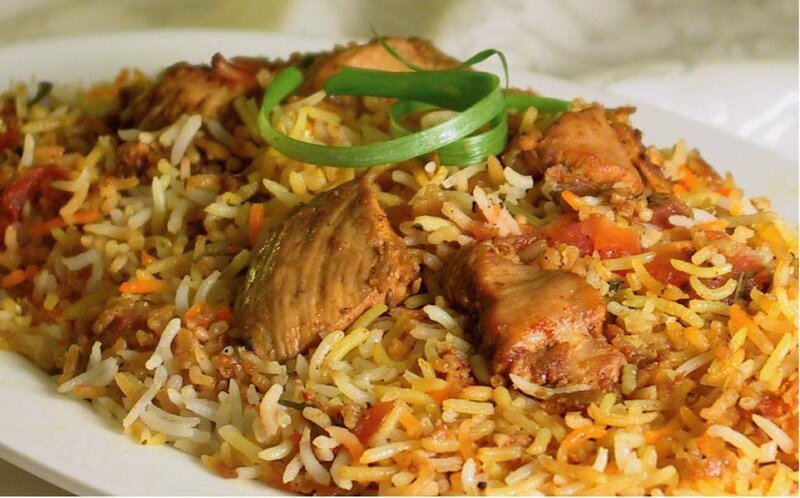 Biryani is both protein and complex carbs and that is exactly what an athlete needs. This slow poke will be exposed in Australia and New Zealand and this cluless team management will be back to drawing board looking for a new set of middle order batsmen. Wouldn't average over 25 and would score at sub 80 strike rate. Radyu will becomes the gratest batman of all times. You heard it here first. The pace at which he is going won't take alot time to give up on cricket itself.